We have established a strong foothold in the industry by exporting and supplying a wide range of Agro Food Products. In our assortment, we offer Natural Honey, Bee Colonies, Hive Boxes, all Bee-Keeping Related Equipment. These are procured from renowned vendors, Farmers/ Beekeepers who are in this industry for a long duration of time. They process our range using superior quality ingredients in hygienic environmental conditions. Our offered products have become the preferred choice of valued customers for features like longer shelf life and delicious taste. These are offered to the customers at industry leading prices. Our organization is supported by a team of diligent and dexterous professionals, which holds versatile knowledge and immense experience in the respective work areas. They work round the clock to provide complete satisfaction to the customers. Keeping this in mind, our professionals conduct extensive surveys and researches, to discover the topmost vendors of the market from whom we can source the products. Apart from this, we have developed a spacious warehousing unit, which is utilized to store the bulk production of procured range till the final dispatch. Our unit is well linked with roads and other transportation modes that allow us to deliver the range to the respective destination on time. 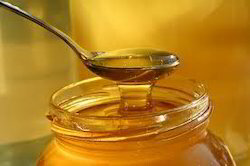 We are one of the prominent manufacturer, suppliers and exporters engaged in providing various types of Natural Honey, Bee Colonies, Hive Boxes. We are a member of FKCCI (Federation of Karnataka Chambers of Commerce & Industry) and APEDA (Agricultural and Processed Food Products Export Development Authority).